districts, or arrondissements, of Paris. Hosts will have a “ticker” on their home page showing how many nights they have remaining available. 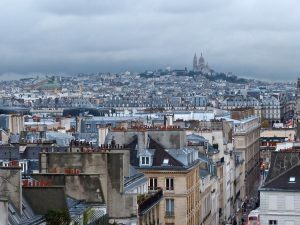 City council member Sylvain Maillard tweeted praise for the decision, though critics said it should be extended to all 20 Paris arrondissements. Also this week, Vancouver passed new rules banning homeowners from renting out certain kinds of property on short-term rental websites like Airbnb. Homeowners will not be allowed to list homes that are unoccupied in the long term, entire condos, or secondary suites – self-contained dwellings within a house or on the same grounds as the main property. Residents and regulators in tourist destinations worldwide have protested services like Airbnb, saying they drive up housing costs and that hosts use them to run commercial businesses.